- U-Glue branded adhesive glue dots - Each packs contains of 64 dots - supplied on flat sheets - Peelable, removable glue dots - Glue dots are the invisible replacement for glue, tack, glue sticks, adhesive tapes and drawing pins - Glue dots are small (approx. 10mm dia) transparent dots of glue - Glue dots will stick almost anything including paper, wood, plastic, metal, glass and painted surfaces - Perfect for sticking pictures, photos, timetables, small posters, menus, notices, decorations and wrapping paper - Ideal for card making and scrapbooking - Easy and simple to use - Instant fixing - no drying time - Acid and lignin free - Double sided - Non yellowing - Manufacturer part number: 200100 - Barcode 5060048420067. The glue craft adhesive point tape is truly sticky and adhere well and it can be removed without trace if done carefully. - The glue points are truly "sticky" and adhere well. 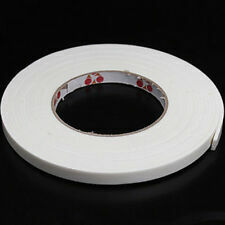 - Perfect to make flying balloons on clean ceiling/walls with these glue tape. - U-Craft branded glue dots - Each pack contains 96 dots - supplied on a flat sheet - Peelable, removable glue dots - Glue dots are the invisible replacement for glue, tack, glue sticks, adhesive tapes and drawing pins - Glue dots are small (approx. 1cm dia) transparent dots of glue - Glue dots will stick almost anything including paper, wood, plastic, metal, glass and painted surfaces - Perfect for sticking pictures, photos, timetables, small posters, menus, notices, decorations and wrapping paper - Ideal for card making and scrapbooking - Easy and simple to use - Instant fixing - no drying time - Acid and lignin free - Double sided - Non yellowing - Manufacturer part number: 201052. A double-sided permanent adhesive glue dots. Dots Color: Clear. Quantities of dots: 100. Material: Glue. Glue dot thickness: 0.5 mm. Anyway we will try our best to avoid this kind of thing. - 64 Bostik Glue Dots per pack - supplied on flat sheets - Glue Dots are the invisible replacement for glue, tack, glue sticks, adhesive tapes and drawing pins - Glue Dots are small (approx. 1cm dia) transparent dots of glue. - Glue Dots will stick almost anything including paper, wood, plastic, metal, glass and painted surfaces. - Perfect for sticking pictures, photos, timetables, small posters, menus, notices, decorations and wrapping paper. - Ideal for card making and scrapbooking - Easy and simply to use - Acid and lignin free - Double sided - Non-yellowing - Instant fixing - no drying time - Removable adhesive - Manufacturer part no: 805828. Waterproof, Windproof and it is sticky on both sides. Self adhesive but easy to fix. Foam Draught Excluder Weather Seal Strip Insulation Door Window Shockproof anti-collision Sealing St. 1 Rolls Tape. - U-Glue branded adhesive glue dots - Each packs contains 64 dots - supplied on a flat sheet - Permanent, extra strength glue dots - Glue dots are the invisible replacement for glue, tack, glue sticks, adhesive tapes and drawing pins - Glue dots are small (approx. 10mm dia) transparent dots of glue - Glue dots will stick almost anything including paper, wood, plastic, metal, glass and painted surfaces - Perfect for sticking pictures, photos, timetables, small posters, menus, notices, decorations and wrapping paper - Ideal for card making and scrapbooking - Easy and simple to use - Instant fixing - no drying time - Acid and lignin free - Double sided - Non yellowing - Manufacturer part number: 200101 - Barcode 5060048420043. Am 13.03.18 hat der Verkäufer die folgenden Angaben hinzugefügt A double-sided permanent adhesive glue dots, easy to use. Quantities of dots: 100. Diese Gebühren sind die Verantwortlichkeit des Kunden. Am 18.01.18 hat der Verkäufer die folgenden Angaben hinzugefügt. A double-sided permanent adhesive glue dots, easy to use. 2 x Glue dots. Quantities of dots: 100. - U-Craft branded Micro Dots - Micro Dots are the invisible replacement for glue, tack, glue sticks, adhesive tapes and drawing pins - Micro dots are tiny (approx. 0.5mm) transparent dots of glue - Simply place the object you are sticking onto the sheet and when you peel if off, it will be covered in micro dots - Perfect for sticking small, intricate or irregular shapes - Micro dots will stick almost anything including paper, wood, plastic, metal, glass and painted surfaces - Ideal for card making and scrapbooking - Easy and simple to use - Acid and lignin free - Double sided - Non yellowing - Instant fixing - Permanent adhesive - 6 sheets per pack - Manufacturers part number: 201055. The object must be placed directly on the glue point, and then transferred to the object, which can be pasted on the other object. Scope of application: fixed balloons, red seal, decorated marriage room, wedding dress, crafts, candles to keep upright. A double-sided permanent adhesive glue dots, easy to use. 2 x Glue dots. Quantities of dots: 100. We will reply you ASAP. Type: Sticky Notes. Style: Emotion. Scope of application: fixed balloons, red seal, decorated marriage room, wedding dress, crafts, candles to keep upright. And after the. The object must be placed directly on the glue point, and then transferred to the object, which can be pasted on. 2 Set 100 Dots Photo Glue Permanent Adhesive Bostik Party Balloon Decors Pop. - U-Fix Sticky Power Tabs are strong, clear adhesive tabs that can be used instead of tapes, nails screws - Each pack contains 48 tabs - Tab size approx. 12 x 12mm - 1 pack can hold up to 9kg - Suitable for both indoor and outdoor use - Power Tabs work on most surfaces including metal, glass, plastics and ceramics - Heat, chemical, weather UV resistant - High strength - Instant stick - no drying time required - Easy to use - Power Tabs bond on contact without the need for clamping - Perfect for fixing signs indoors and outdoors without the need for power tools or fixings - Power Tabs can also be used to fix letterboxes, coat hooks, key hooks, racks, kitchen and bathroom accessories, cable trunking, skirting boards, dado and shower rails, fixing number. 4 sheet of Sticky Foam Pads. - Double sided adhesive and pre-cut. - These are perfect for all types of craft, particularly decoupage and card making. They allow you to achieve a wonderful 3D effect on your project. Brand new and high quality! 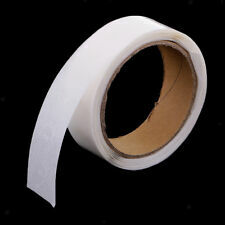 25mm Wide And Over 2 Metres long Quantity:2 Rolls Super Strong Double Sided Foam Tape Ideal For All Crafts Requiring Use Of Double Sided Sticky Tape. Ideal for Fixing Your Number Plate Firmly To Your Car But Also Ideal For All Crafts, Mounting Pictures, Scrapbooking, Cardmaking And Loads of Other Things Around The Home. Doppelseitig klebend und vorgeschnitten. - Jedes Blatt Größe: 10 cm x 10 cm. - Jedes Blatt enthält 100 Stück Schaumstoffblöcke. 4 Blatt Sticky Foam Pads. - Material: Schaum. - Einfach zu bedienen und dauerhaft. (2) Wick stickers are a double sided glue like that can be placed on the end of a wick and in the center of a jar to keep your wick tab from moving. 2) Thread wick into a hollow plastic tube (such as a disassembled ink pen) while the wick is standing upright on the wick sticker. EACH STICKY PAD IS APPROX 2CM/20MM X 1.1CM/11MM BY 1.5MM THICK. Perfect for hanging paper on walls, arts, crafts, DIY & more. Product Condition Su re se ller Limited Since 2009. And after the. Quantity: 200 Dots (2 Roll). and not pull it by force, the important features of t he new film is peeled off the wall will not leave glue. The object must be placed directly on the glue point, and then transferred to the object, which can be pasted on. A double-sided permanent adhesive glue dots, easy to use. Quantities of dots: 100. Pictures:Due to the difference between different monitors, the picture may not reflect the actual color of the item. 56 Sticky Pads Double Sided Permanent Foam Pads. County sticky pads. Permanent foam pads.